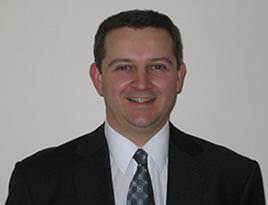 Dr Darren Roberts was born and raised in Adelaide, South Australia. He began studying Medicine at Adelaide University and completed a Bachelor of Medicine & Bachelor of Surgery (MB.BS) in 1997. Dr Roberts commenced Specialist Obstetrics & Gynaecology training in 2000 and after working at most of the training hospitals in Adelaide and Mt Gambier, completed his Fellowship with the Royal Australian and New Zealand College of Obstetricians & Gynaecologists (FRANZCOG) in 2006. Dr Roberts commenced full time private Obstetric & Gynaecology (O&G) practice in 2007 in conjunction with a position as Senior Visiting Medical Specialist in O&G at the Women’s and Children’s Hospital, North Adelaide. Dr Roberts says that he arrives at work every day knowing he has chosen the right career path and still treasures the opportunity to be involved with the birth of every baby he helps deliver and every woman he can help. He is married with two beautiful children and in his spare time, enjoys gardening, woodwork, football, cricket and muscle cars, particularly old Fords.